Diabetes, also known as “the silent killer”, is a disease that affects millions of people around the world. The most appalling part is that every 6 seconds, someone dies from this disease. That means that by the time you are done reading this article, over 100 people would have died from complications due to Diabetes. And what is even worse is that people believe it is genetic and inevitable. On World Diabetes Day, it is the need of the hour to fight against this! Not just against inheriting the disease, but even more, against the widespread ignorance about the prevention of it. 14th November is the day on which awareness drives are organized all over the world to educate people about this killer disease. The growing epidemic must be stopped, as by the year 2040, this disease will affect 1 in every 10 adults or 640 million people. The statistics point at a 50 percent increase in Diabetes cases in the last few years, which means that it is spreading at an alarming rate. Thus, we must take measures to stop it right now! Firstly, we must acquaint ourselves with what the disease is. Diabetes is born out of the body’s inability to regulate insulin. It can develop at any stage and in some cases, people as young as children and teenagers have developed the disease (Type 1). Adult onset diabetes (Type 2) normally develops post 35 years of age but now-a-days, people as young as in their twenties have been developing the disease. The major reason for this kind of diabetes is obesity and a sedentary lifestyle. In most cases, taking precautionary measures, that is, making lifestyle changes can reverse the condition. However, if this is not done on time and in extreme cases, insulin injections are prescribed to regulate metabolism in the body. In addition, ignoring the early onset of the disease further leads to other complications such as strokes, kidney failure, limb amputations and blindness, among others. What we must make ourselves aware of are the steps to be taken to avoid getting the disease in the first place. But before we get into that, you must first realize what you are doing wrong. If you are overweight, do little or no physical activity and eat unhealthy food, you are more likely to develop the disease. In addition if a blood relative such as a parent or sibling has the disease, you are at a greater risk of acquiring it as well. Now, what can you do to prevent yourself from getting the disease? Exercise at least 3 times a week and eat right. Where exercise is concerned, doctors say that something as simple as 30 minutes of walking per day can have significant, far-reaching health benefits and improve the longevity of your health. However, the best thing we can do for ourselves is to eat right! Simple, easy-to-prepare balanced meals can make a world of difference to our health. Just doing this will ensure that we stay away from any ‘lifestyle diseases’, which Diabetes essentially is. Now, how might one do this? 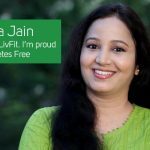 LivFit specializes in reversing diabetes and obesity. If you do not know where and how to start, a consultation with experts from Livfit will put you on the path to a disease-free life and teach you how to eat right and eat healthy again for stress free living. The motto is “start living”, which encourages you to learn how to live a healthy, fit life and adopt a lifestyle that enables you to enjoy life. LivFit also takes the journey with you. With meal tracking, constant guidance and support, we ensure that you stay on track and achieve your health goals. All you have to do is commit to the program and take that first, essential step to a diabetes and obesity free life!